On average, cat have one or two bowel movements daily. A sign of constipation is when a cat strains to defecate and little, dry hard feces, watery feces or no feces result. Constipation can be due to an underlying condition such as a foreign object obstructing the colon, dehydration, medications, diet, injuries, a tumor and more. Arthritic cats may have difficulty positioning themselves to defecate. Symptoms can be appetite and weight loss, not using the litter box or going to the litter box often in an attempt to defecate, lethargy. vomiting. 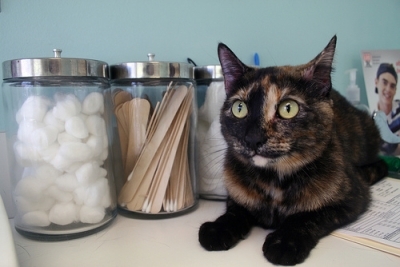 If you suspect your cat is constipated, s/he should have a veterinary examination. 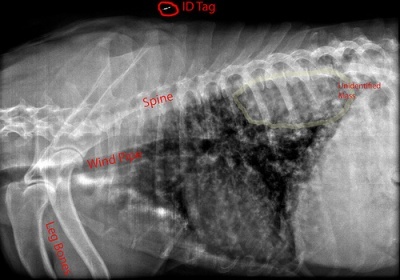 Your vet will palpate the abdomen, have blood tests done, x-rays and may order an ultrasound or MRI. Treatment may include the administration of mild laxatives, stool softeners, suppositories, hydration. Your vet will perform an enema if necessary. If constipation is extremely severe or caused by a foreign object or tumor, surgery may be necessary. Prevention is the best treatment. Add a bit of pumpkin, canned (not the pumpkin for pies) or fresh cooked, mashed pumpkin or sweet potato to your cat’s diet. Since many cats don’t drink enough water, feeding canned foods helps keep them hydrated. Brush your cat regularly, especially long-haired cats, to prevent hairballs.